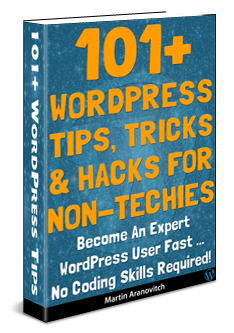 Home » WordPress Training » The WordPress Paradox: If WordPress Is The Answer, What Is The Question? Give any teenager a brand new mobile phone and within minutes, they will have fully customized it, configured its settings and downloaded the apps they need to chat with their friends and play games. The typical smartphone user is not a mobile application developer and doesn’t need technical knowledge or expertise of how mobile phone technologies work to get results using their mobile device. And more … all without technical expertise or outsourcing the above tasks to mobile phone experts! We could argue, then, that smartphone users have complete control of their mobile presence without requiring technical skills or hiring technical experts because smartphone manufacturers and mobile software and app developers have created a user-friendly framework that supports and empowers non-technical users to engage with mobile devices. In a similar kind of way, WordPress has also created a user-friendly framework that can support and empower non-technical users to engage with their website. The problem, is that most non-techie WordPress users have not been empowered to take control of their digital presence and end up becoming hostages of technical service providers like website developers and digital marketers. 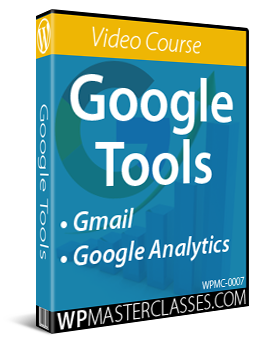 This is explained in more detail in The Small Business Digital Manager. If WordPress Is The Answer, What Is The Question? Imagine giving a teenager a brand new phone and then telling them that they can’t use their phone unless they hire technical experts and pay them a monthly fee to customize the look and feel of their phone and to download and manage their apps or look after their text messaging. They would look at you like you have just asked them to eat spiders for lunch. Yet, this is exactly what most website owners do with WordPress. They hire website developers to build them a website they could easily build and configure themselves with no coding skills required and then pay them a monthly fee to manage and maintain sites that could be easily managed and maintained with a few mouse clicks or automation. The paradox of WordPress is that WordPress is becoming easier for non-techies to build, run, and manage their own websites without requiring technical web services like web development, web design, website building, website maintenance, etc. Pressure from market-driven economies and global competition demand that technologies become increasingly more user-friendly and evolve from being complex and complicated to simpler and easier to use. Non-techies are the end users of the WordPress CMS platform. They are the target audience of tens of thousands of WordPress developers and web service providers and the reason why WordPress exists. As we explain in Keep Calm And Use WordPress, WordPress puts non-techies in complete control of their digital presence with customizable themes, fully configurable plugins, and integrated features and functions like wizards, visual interfaces, plug-and-play, drag-and-drop, copy and paste, shortcodes, widgets, ‘one-click’ updates and installations, and more. The WordPress paradox has another side. As WordPress is becoming easier for non-techies to build, run, and manage their own websites without requiring technical people to provide web services like web development, web design, website building, website maintenance, etc., more technical web service providers are offering these very same WordPress services to non-technical users. 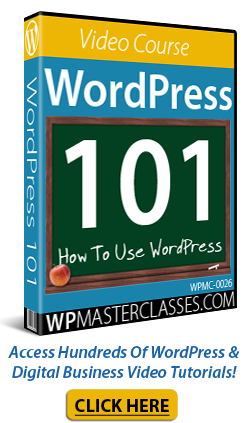 Because WordPress is 100% free to use, modify, and distribute, and completely configurable and fully customizable thanks to thousands of inexpensive plugins and themes, it creates an attractive opportunity for web service providers to build a profitable business selling high perceived value web services that can be assembled and delivered really quickly at a very low cost. The increasing popularity and dominance of WordPress means that more businesses offering WordPress services will be started in the future. The inevitable outcome of this paradox, then, seems to point to more businesses offering clients’ services they can easily perform themselves. Just like teenage smartphone users, non-technical WordPress users can control all areas of their digital presence without having to become technical experts themselves or having to hire technical experts to get things done. If WordPress is continually evolving to make it easier for non-technical users to build, run, and manage their digital presence without employing technical experts, why aren’t most website owners doing this? As stated earlier, pressure from the market and global competition demand that technologies become increasingly more user-friendly and evolve from complexity to simplicity. … so will the process of building websites and online businesses become simpler and easier for non-techie business owners. Imagine an app that is free to download and use and can instantly scan and repair all problems with your motor vehicle. You download the app for free, click one button and in seconds, all your vehicle’s issues and problems are instantly and automatically repaired. Your car’s fuel, oil, water, brake, and transmission fluids are topped up, your tyres are perfectly inflated, your engine purrs like a kitten, all electronic and mechanical components work as new … even the car’s interior and exterior have been detailed and thoroughly cleaned. All you have to do is get in and drive (watch the video below – coming soon!). Thousands of new businesses would be started by both experienced motor vehicle repairers and entrepreneurial sales and marketing people offering motor vehicle repair and maintenance services to ‘non-mechanical’ car owners. As a quick aside, this is exactly what someone who truly understands the power of WordPress thinks when they see a website owner putting their website developer in charge of their website. They know the app exists and understand what it does and how it works but they would rather drive a car with problems than repair their vehicle. They have been told by experts that it’s better to ‘leave it to the experts’ in case they ‘stuff things up’ and put their lives and the lives of their family at risk trying to do things themselves. Interestingly enough, these are the same reasons why most businesses don’t build, run, and manage their own websites and rely instead on outsourced technical service providers like website developers. This is also addressed in The Small Business Digital Manager. In “The Time Machine,” H. G. Wells’ classic sci-fi novel about time travel, humans have evolved into two separate species: the Eloi and the Morlocks. The Eloi live on the surface and enjoy a leisurely existence playing and basking in the sun. They have no understanding of technology, as everything they need is provided for them by the Morlocks. Is this the future of WordPress, then? A world where only those who understand technology can operate the machinery and those who don’t are destined to end up becoming entirely dependent on those who are tech-savvy? The evidence seems to point to the contrary. While many web applications and web technologies require tech-savvy users to install, manage, and run, this is not the case with WordPress. In fact, one can even argue that this goes against the greater implications of WordPress’ own mission to democratize publishing. If publishing is to be truly democratized, then all who participate in the process must be able to understand it. Technological progress is often made when the end users themselves are allowed to participate in its improvement by contributing suggestions, feedback, and observations from their own user experience. One of the problems as highlighted by the WordPress paradox, is that WordPress is designed to benefit users who don’t really care about how the technology works. Simultaneously, the people who typically end up being responsible for training and educating users about WordPress don’t necessarily want users to become fully empowered to control their own web presence. It’s like asking Morlocks to teach the Eloi how to look after their own needs when all the Eloi want to do is play in the sun and have things done for them. Morlocks need the Eloi to remain ignorant and dependent on the Morlocks to survive. They are divergent species, much like technical and non-technical users. There is no point trying to get non-techies to do ‘techie’ things like learn to code or modify CSS or php code in their web templates to create custom functions. Non-techies just can’t get interested or excited about stuff like that. They are interested in getting results, not learning about all the machinery that goes into making their technology work. On the other hand, techies aren’t interested in spending time showing non-techies how to use technology to be in complete control of their digital processes so they can get consistent results like drive more traffic, get more leads, and grow more sales in their business. Techies are too busy working and tinkering with machinery to focus on training, educating, and empowering users. As we explain in The Challenges Of Educating, Teaching, And Training New WordPress Users, even if website developers wanted to go against their self-interest and help their clients become fully self-empowered WordPress users, most lack an effective system to educate and train non-technical users. The WordPress Paradox, then, poses a number of challenges for the ‘WordPress Economy’ and affects not only the WordPress services industry and WordPress users, but the future of WordPress itself. Q: Can WordPress continue supporting a growing services industry? WordPress is currently used by over a quarter of all websites around the world. It is also the world’s leading CMS platform. WordPress’ ease of use has contributed to a growing web services industry where tens of thousands of website, plugin, and theme developers continually help WordPress evolve and expand to make WordPress even easier to use. Many industry experts and WordPress pundits predict that WordPress will continue to grow its current market share and eventually will power the majority of the web. This is not surprising, as many web developers and web designers love working with WordPress. They love the almost unlimited power and flexibility of its open source platform, its support community, its scalability, extensive plugin and theme libraries, and support for integrations with other technology platforms. The significant increase in new website development businesses and agencies offering WordPress services is also fuelled by the fact that WordPress allows service providers to build professional and expensive looking sites with very low costs of production, high profit margins, and fast turnaround times. WordPress, then, is without a doubt a fantastic platform for web developers and web service providers. But … what about WordPress users? Q: Why aren’t more WordPress users starting, managing, and growing their own digital presence themselves? Why are they paying for services that they can easily do themselves? For the WordPress services industry to remain viable and continue growing it needs end users who are willing to pay for web services. The obvious group of end users who are willing to pay for web services are businesses that need a web presence. The WordPress Economy, then, is made up of both technically ‘inclined’ and technically ‘declined’ users. Ultimately, non-techies make up the larger group of WordPress users. They are also the reason for keeping the WordPress Economy alive and growing. Non-techies comprise of users like businesses that need a web presence and who are averse to learning ‘technical’ stuff like coding and web programming languages. They are end users who keep web developers in business by paying for WordPress services like website installation, WordPress setup, and WordPress maintenance. Technical people like website developers need non-technical prospects and clients to sell their services to. They need users who depend on their web services to stay in business. Non-techies, however, also expect their website developers to train them how to use their websites. Additionally, and for better or worse, clients of website developers also expect to be shown how to get better results online with their websites and have complete control of their web presence. As we explain in the challenges of educating, teaching, and training new WordPress users and in The Small Business Digital Manager, providing non-technical WordPress users with effective WordPress training that will help them get better results online with their websites and have complete control of their web presence is not easy for a number of reasons. One of these reasons is the inherent conflict of interest that exists between WordPress service providers and their clients. For most non-technical users, their website developer is their main source of accessing information, help, and advice regarding their websites. After all, they are the ones who typically have helped them plan and build their website. If a website developer builds clients a website, they are also responsible for training clients how to use it. When clients pay for a website, most expect to be shown how to use, manage and have control of their website. Just like teenagers with mobile phones, if WordPress users can easily build, run, manage, and do just about anything they want with their websites without needing technical skills or outsourcing to technical experts, then there is no reason why non-technical users can’t learn how to do everything themselves with WordPress. Empowering prospects and clients to build, run, and manage their own web presence, however, is a conflict of interest for businesses that provide WordPress services like WordPress installation, website building, web maintenance, etc. After all, these businesses need clients who depend on their services to stay in business. Who in the WordPress Economy, then, is providing non-technical users with truly self-empowering WordPress education and training that will help them have complete control of their digital presence? Q: How do people who aren’t interested in ‘technical stuff’ like coding and building web sites become self-empowered WordPress users? Techie WordPress users generally don’t need to hire other techie WordPress users and pay for basic WordPress services. 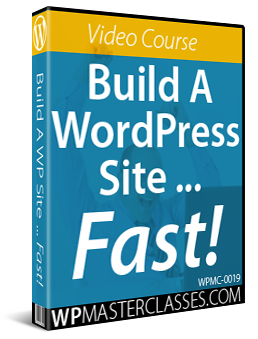 They can easily learn how to install, configure, manage, maintain, optimize, and protect their own WordPress sites by visiting the official WordPress Codex or using many free WordPress resources and tutorials that are available online. Most techie WordPress users are, in fact, self-taught DIYselfers. If the WordPress Paradox is true, then we can also deduce that the first ‘port of call’ for non-technical users who want to start or build a business online is to hire a website developer, becaue they are averse to learning technical stuff, and believe that building and managing websites requires technical skills and expertise. Why would service providers who (1) depend on clients to stay in business and (2) control access to information about WordPress want their clients to be able to fully control and manage their own web presence without service providers being involved? Can add any type of media, including scripts into their content using a WYSIWYG editor, shortcodes, copy and paste, etc. 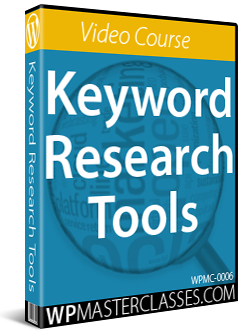 Can be easily customized using one-click tools, wizards, widgets, drag and drop, etc. And that all of the above can be done easily in minutes … with no technical skills required and at minimal cost in just a few clicks and with basic computer skills? 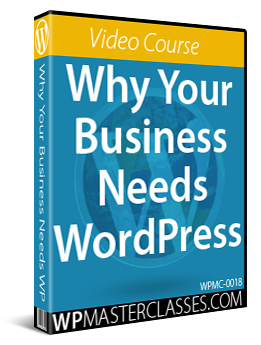 As explained in our WordPress Digital Business Blueprint, most small businesses can build a successful online presence using WordPress without spending much money to start with and only bring in technical experts when their business has reached a point where they either truly need customized solutions or when outsourcing makes sense. Isn’t teaching non-technical WordPress users all this in their best interest? Q: Many website developers promise clients websites that they will be able to fully “manage themselves,” but do they actually show clients how to fully manage their websites? Because no one is really taking the time to educate non-technical users otherwise, most non-technical users also believe that building and managing websites is best left to technical experts. This creates a paradoxical “blind spot” that prevents many non-techie WordPress users from learning how to manage and control their own web presence. It also keeps them dependent on using technical service providers to look after areas they could easily take care of on their own. Q: How can we prove that non-technical WordPress users can be in complete control of their own web presence without requiring technical skills or the services of technical experts? Just as we now know that dark matter exists despite the lack of visible evidence because of the effect it has on visible objects, we can also “see” the paradoxical ‘blind spot’ of WordPress by looking for sites that have been entirely built and configured, and are being maintained, managed, and marketed successfully by WordPress users who have no technical skills and who don’t require technical experts to manage their own websites. No … you’re looking at one of these sites right now! WPCompendium.org is entirely built, configured, maintained, managed, and marketed successfully by a non-techie WordPress user who has no coding skills and no need to pay for basic WordPress maintenance and management services like installing and configuring themes and plugins, updating software, making site backups, etc. 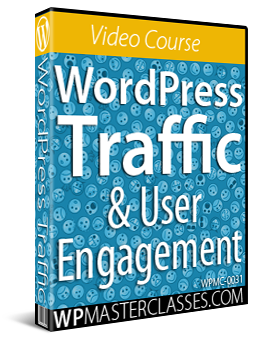 This site attracts thousands of users from all around the world using a default WordPress theme and mostly free or very inexpensive plugins. WPCompendium.org, then, is proof of the WordPress Paradox. Using WordPress allows non-techies to build, run, and manage their own websites without requiring technical web services like web development, web design, website building, website maintenance, etc. The entire process used to build this site has been fully documented over many years and turned into hundreds of detailed step-by-step tutorials specifically aimed at helping non-technical WordPress users take control of their own digital presence and get better results online without learning how to code or depending on technical experts for help with things that they can easily learn and do themselves. Install a professional website for business or personal use on their own domain that is completely customizable, flexible, scalable and fully configurable using one-click WordPress installation software and a web hosting server with cPanel management software installed. Q: If users can easily install, configure, manage, maintain, and expand their websites without requiring technical skills or expertise just by clicking a couple of buttons, why do they need to hire people for services like website building, web design, website maintenance, etc.? There are no simple answers here. Part of the reason is that non-technical users don’t know what they don’t know. They don’t know that they can do it all themselves. Another part of the reason is that website developers don’t want their clients to know this and have no incentive to inform, educate, teach, train, or empower non-technical users to have complete control of their digital presence. Most WordPress users want ‘self-empowerment.’ They don’t want to be “held hostage” by their web service providers. Service providers, however, need clients who depend on their services. Many service providers believe that dependency is good for their business and that empowerment is not. The key to resolving the WordPress Paradox is to empower users through better WordPress education and training. We do a huge disservice to anyone and everyone who participates in the WordPress Economy if we fail to educate users about all the benefits and advantages WordPress has to offer and hold back from teaching people all the ways they can use WordPress to work more efficiently and improve their results and/or their bottom line. Keeping WordPress users ‘hostage’ and ignorant of all the ways they can benefit with WordPress can end up costing them thousands of dollars. 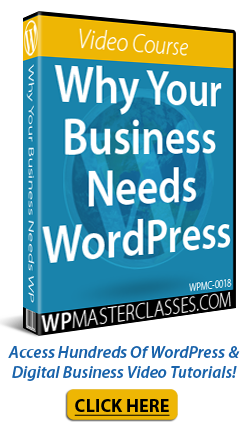 If we truly help users understand all the ways WordPress can help their business grow and show them how to do this, users can then choose to do things themselves and save money, or outsource the work to others and save time. WordPress service providers that don’t empower their clients will eventually lose them to those that do. Promoting abundance, growth, and expansion helps create success, while acting on scarcity and fear of loss typically leads to failure. The WordPress community is continually developing new features, plugins, themes, and solutions designed to make things easier and more intuitive for technically declined users. The more we help people learn about WordPress and all it can do, the more WordPress products and services they will want to use. Ultimately, it’s all about giving all WordPress users a choice! If users are given the choice between learning how to build, configure, maintain, and market their own websites and then shown that they can actually do all of this themselves without technical skills and at minimal cost, most users would still probably choose to outsource the work. The difference is that by empowering users with the knowledge, training, and education that they can do it themselves, users would know that they have a choice. Many non-technical users dont know they have this choice. Not having a choice can lead to many important decisions that affect their business being made for them by people acting out of self-interest who are not part of their business and who ultimately have no vested interest in their success. Online business decisions, choices, and assumptions are not a website developer’s to make. They are the user’s. After all, who are website developers building a website for? Paradoxically, by truly empowering WordPress users and giving them the choice of doing things themselves or outsourcing the work, WordPress service providers will actually create more trust and loyalty with clients and sell more services. As we explain in our guide on how to effectively train new WordPress users, service providers can empower users by educating and training them how to use WordPress, then giving them the choice of saving money by doing things themselves or saving time by outsourcing the work if they are too busy or don’t want to do things themselves. Empowering new WordPress users, however, is very challenging. We address many of these challenges in The Challenges Of Educating, Teaching, And Training New WordPress Users and in The Small Business Digital Manager. WordPress is becoming easier for non-techies to build, run, and manage their own websites without requiring technical web service providers. The popularity, power, flexibility, scalibility, low cost, and open source nature of WordPress, however, means that more users can now also run businesses selling WordPress web services. The paradox of WordPress, then, is that as pressure from the market and global competition are making WordPress easier for non-technical users to build, run, and manage their own websites and perform services like website building, web design, and website maintenance on their own without getting technical experts involved, more businesses are selling WordPress web services to clients who could easily perform these services themselves. This also creates an inherent conflict of interest between clients that expect to become empowered to run and manage their websites and businesses online with full control of their digital presence and web service providers who need clients to remain disempowered and dependent on their services to stay in business. One way to resolve the WordPress Paradox and create ‘win-win’ outcomes in the WordPress Economy, then, is for WordPress service providers to inform, educate, teach, train, and empower new WordPress users. The empowerment of non-technical WordPress users is the key to helping millions of new WordPress users build more successful business online, which will ensure the success of WordPress service providers, the WordPress developer community, and ultimately the success of WordPress itself. Originally published as The WordPress Paradox: If WordPress Is The Answer, What Is The Question?.